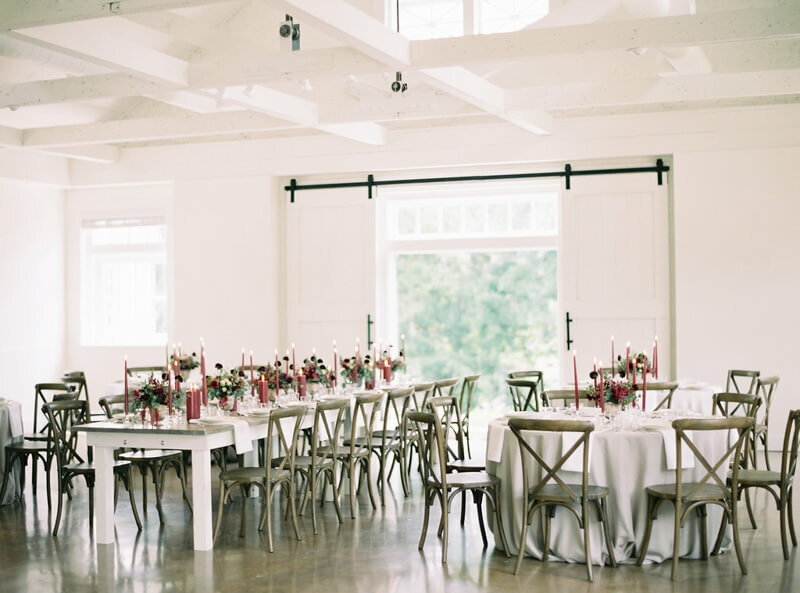 Blackberry Wedding Inspiration - Winston-Salem, NC. 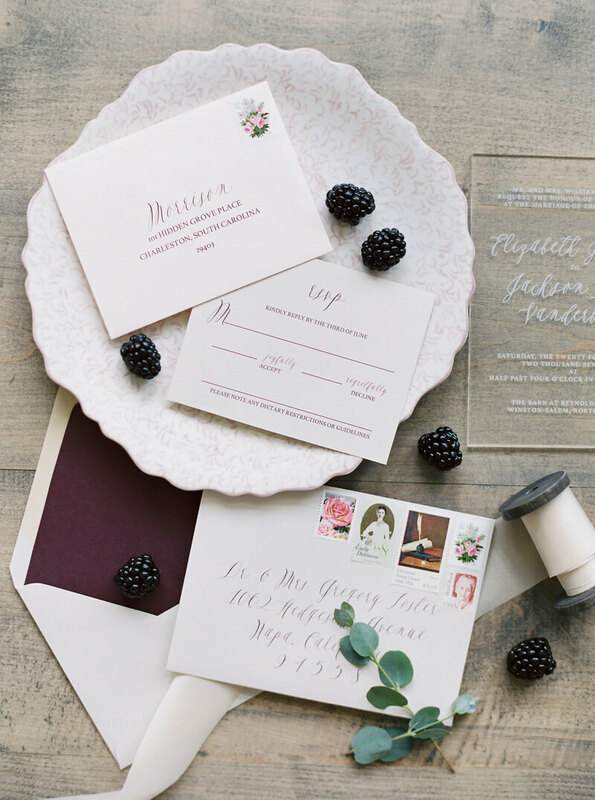 From Rebecca Rose: This shoot was inspired by the beautiful contrast of rich, bold blackberry and deep plum colors and the way they pop against soft neutrals. With an abundance of all-white or neutral colored design choices prevalent in weddings this year, we felt compelled to demonstrate the beauty and sophistication of deeply saturated color. This palette works for any season, and we feel it is perfectly set against this white space with the dreamy glow of candlelight and the organic textures of delicate eucalyptus leaves and playful stems of ranunculus.